This page contains the current restoration updates of the Grand and special notations for those donating services to the restoration effort. The most up to date info is posted on our Facebook page. All rubbish has been removed from the buildings. 2010 to current. Our Wurlitzer Pipe Organ has been donated back to the theater and is being restored and reinstalled. As of 2/17/17 we are about 3/4 complete. Ballroom 1 is being cleaned, walls painted and floors refinished. This is about done and the ceiling and staircases are next. 1/31/16 Made possible by the PNC Charitable Trusts. More work is planned for 2018. New stage floor was donated and installed by Byers Concrete, Jonathan Byers 740-632-8160. As of 12/31/16. This is just the floor not the entire stage, flyloft, dressing room area. Front facade lower portion will be worked on fall 2017, including the area around the front doors and the 125 S 4th Annex Bldg. Thank you to the JC Williams Trust; the Charles M Pugliese and Thelma M Pugliese Charitable Trust; Macy's and several individual donors for the Grants and donations that made the lobby restoration, office restoration and Front Facade restorations possible! Thank you to Nelson Fine Art and Gifts for replacing our sign plastics with beautiful new signs. Thanks to TS Electric and the membership of the IBEW for providing the electrical upgrade to the Office and Lobby and HVAC. Thanks to Apex Landfill for allowing us to dispose of debris! Thanks to Apollo Pro Cleaning for the donated mold remediation in the lobby and office. Air Excellence also donated to this clean up! And thank you to YC Construction for repairing the walls and ceiling in the Lobby! 1949 Dave Barnhouse "A Grand Night in Steubenville"
The restoration committee has spent considerable time and discussion on how the Grand will fit in with the use of the two existing auditorium facilities downtown, those being the Masonic Temple and Steubenville Big Red’s auditoriums. We all agree that we have beautiful facilities in both the Masonic Temple and Steubenville Big Red. The Grand and the future Grand Performing Arts Center will be unique to downtown and to the entire area. When you also include the Museum of Performing Arts that will utilize the left hand storefront as well as both floors of the Event Center, there is nothing like it here. The main auditorium is and will be unique and very ornate. It is also a destination that will attract a lot of attention as a performing arts center. Both of these other auditoriums have been discussed several times, and together with the Grand can be used for many events. We all agree that we have other space but we have nothing like the Grand. 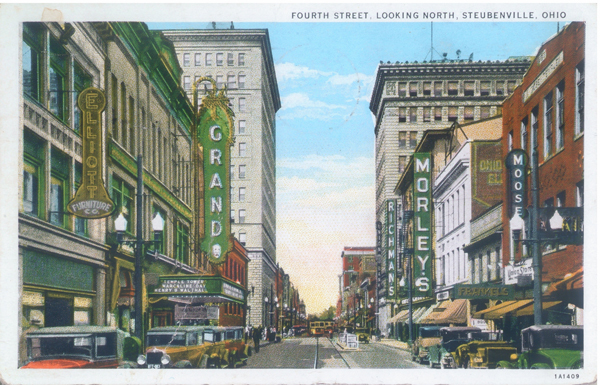 The future of Steubenville depends on a vibrant downtown and an arts and cultural resurgence that cannot happen without a focal point like the Grand. When the Fort was proposed, many brought forward the same arguments….we can't afford it, we have enough ....and so the story went. But look at what folks have done. A lot of vision for the future, fund raising, hard work, craftsmanship, dedication, etc went forth and today folks from far and wide come to see Fort Steuben! We take a lot of pride in the Fort and many come to tour, and even more to enjoy the park every Thursday during the summer concerts, the annual festival in June and many other special times throughout the year. We think it is way past time that we hold dear our history instead of always being so quick to tear things down. 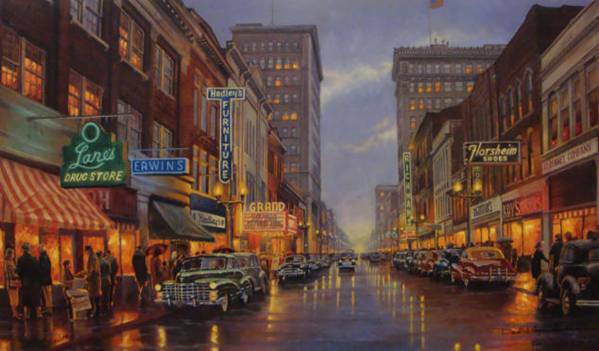 Think of the railroad station, Stanton's home, the ornate Capitol and Paramount theatres. Our goal is that we will all come together for the good of Steubenville , put pride back into the city, and see businesses coming back because of what we have to offer. 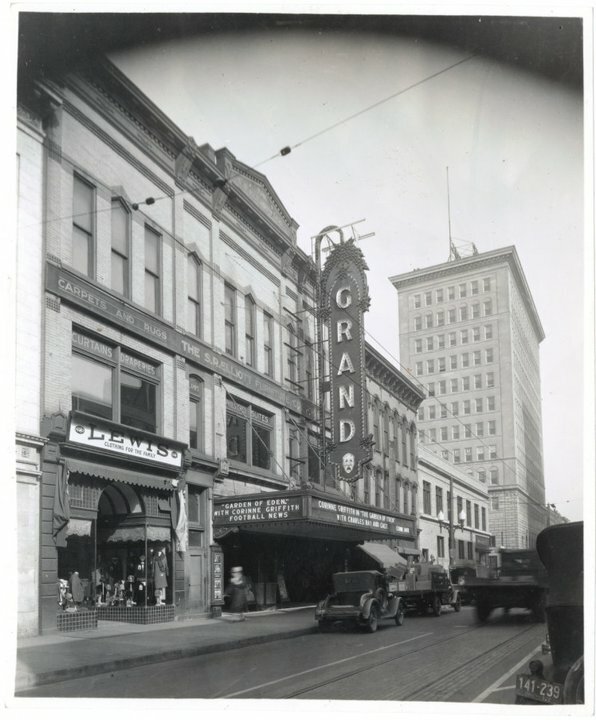 It’s time to save the Grand and let people have pride in our historic downtown once again. We, who have a vision for the Grand, see the same end result. In addition, many businesses have come forward with donations and the promise that "if we build it, they will come"....we hope you will too.